Paperback, 8.75 x 12 in. / 160 pgs / 120 color. Edited by Gabriel Orozco. 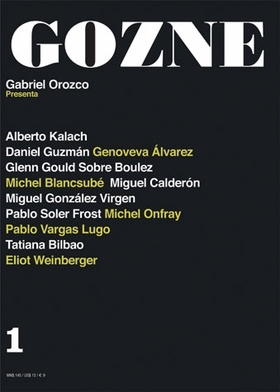 Essays by Miguel Gonzlez Virgen, Glen Gould and Michel Onfray. FORMAT: Paperback, 8.75 x 12 in. / 160 pgs / 120 color.